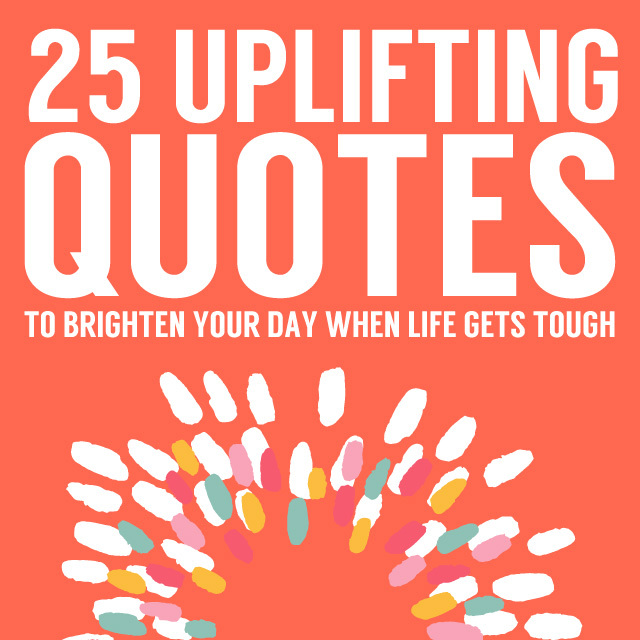 These uplifting quotes will have you singing a different tune. Use them when you are facing a difficulty in your life that has knocked you off your feel good path. It’s a natural part of life to face struggles and trials along the way, so don’t get stuck for too long in a pattern of negativity. These quotes will help you get back on track. While it’s easy to use failure as a great way to get discouraged about your next endeavor, it’s a far better idea to use those emotions as fuel to drive you forward to eventual success. If there were an easy path to success then everyone would take it, and it wouldn’t be so in demand. 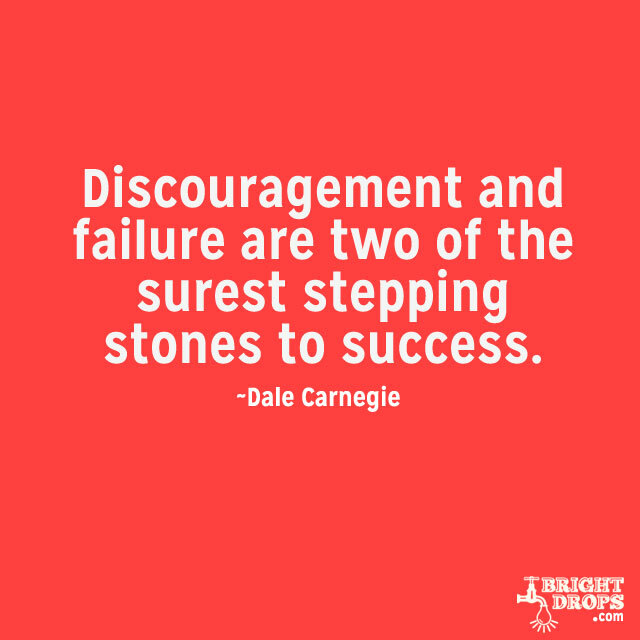 Failing and learning to deal with discouragement in a healthy and productive way is a sort of litmus test for successful people. So if life every gets you down, and you don’t feel like you can succeed at what you’re currently doing, remember that this can be a turning point in your eventual success story. 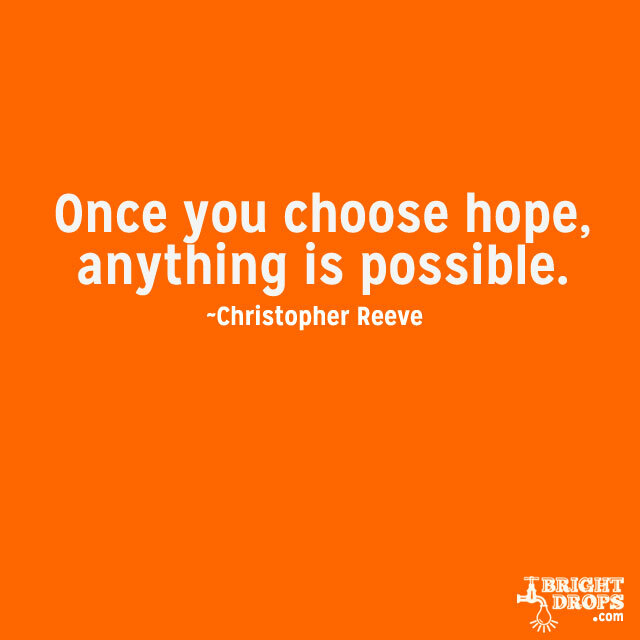 Christopher Reeve is a perfect example of choosing hope rather than giving it up. He didn’t let his accident end his life, he chose to hope that one day he would walk again and he made great strides towards that goal. 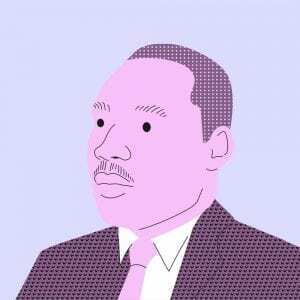 While he may not have achieved it he still goes down as a man that didn’t give up and achieved things that others would have deemed impossible. Hope can start small as long as you hold onto it, it grows like a snowball going down a hill. Hope builds confidence that things will turn out fine, which only makes it easier to hope some more. 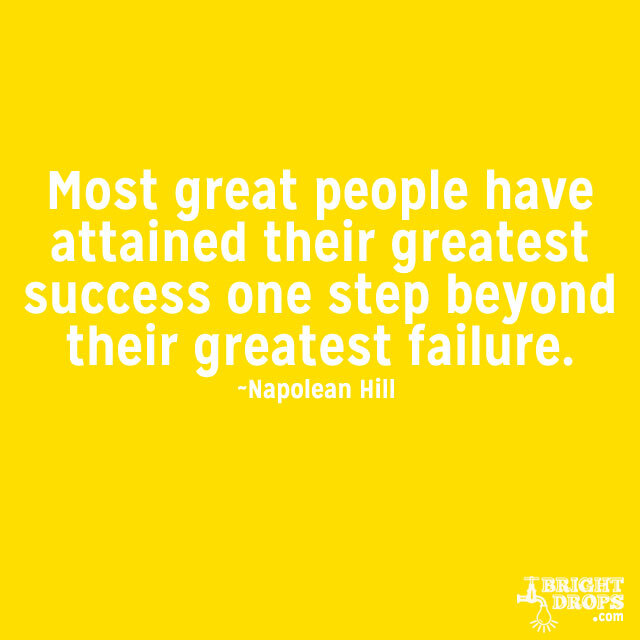 What if you knew that it was just one more step until you accomplished your greatest success? You’d surely take that step, even if you knew it would be a hard one to take. If you’re going through a tough time right now, it could be that better times are just around the corner, and if you push past what you’re going through you could get what it is you really want. Letting a setback or a perceived failure get the better of you is a sure way not to get what you want, so be sure to take that next step because it might just be the one that puts you one top. If you’ve been worried about how the future will turn out because things aren’t going as you planned, this is a good life lesson: you can create the future you want, which immediately helps you stop worrying about it. 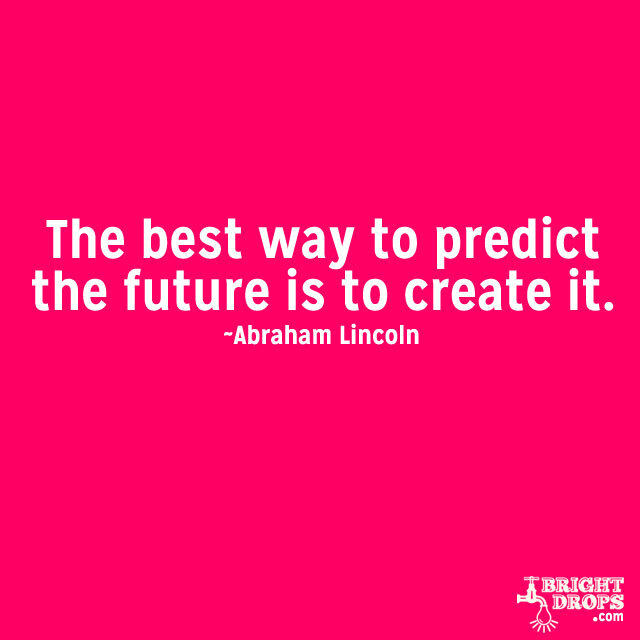 By creating your future rather than fearing it you regain the element of control and stop looking at yourself as the victim of things that are happening to you. They say the future is unknown, and largely it is, but you can do things today that will influence your tomorrows, and that makes today a very powerful thing indeed. 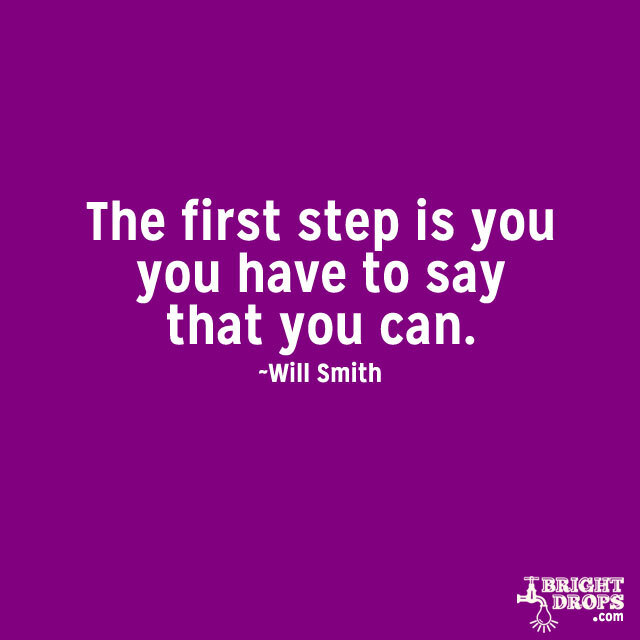 Most people think that the first step should be an action item, but Will Smith is saying that before you do anything else you have to say that you can do it. This could mean that if you don’t first convince yourself that it can be done, your future actions won’t hold much water because you’re not in the right mindset. Getting your thinking right before embarking on your next venture is good advice, and can make the actions you take towards your goal more powerful and effective. So if life has been tough lately, be sure that you haven’t been sucked into saying “I can’t.” and start to turn things around. Life presents us with challenges when we set out to accomplish something great, so if you’re going through tough times it probably means you’re taking on a big project. Just remember that you wouldn’t want to cut your achievements short in order to protect yourself from the sting of failure. It’s all about finding the right perspective when it comes to the big picture of your life, and what you want to do with it. If you’ve noticed that you are sometimes too hard on yourself when things don’t go your way, remember that in the grand scheme of things you’ll be fine and overall you’ll make it. 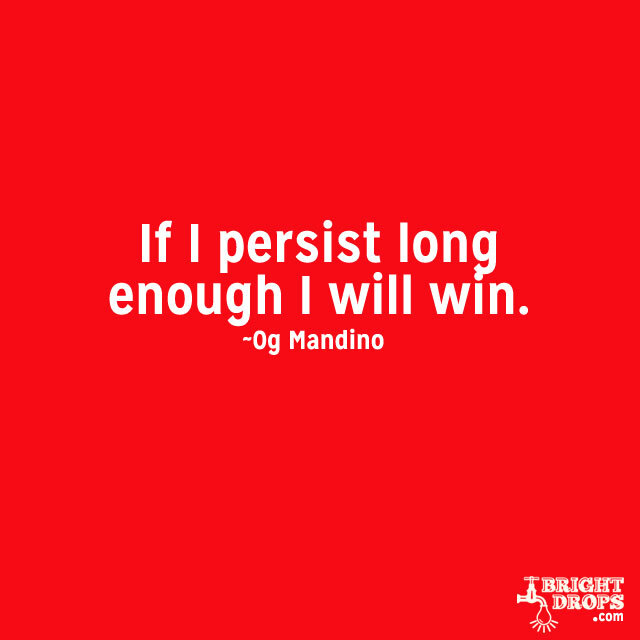 Persistence can be tough when the going gets rough, but keep it in mind that as long as you keep going, you’ll eventually get to where you want to be. It’s refreshing to know that all that’s required is to keep plugging away at things, even if in the moment it doesn’t seem like you’re accomplishing much at all. It may not happen today, or tomorrow, or this year, but having the belief that as long as you keep at it you’ll win is a helpful ally in achieving your dreams. Just knowing that you have the power to win no matter what can help to brighten a cloudy day. We’ve all heard a version of this saying, something to the effect of each cloud has a silver lining, but when you hear from a renowned genius that each difficulty has an opportunity within it, you take notice. Just because you’re facing a difficulty is no reason to give up or get down on yourself. 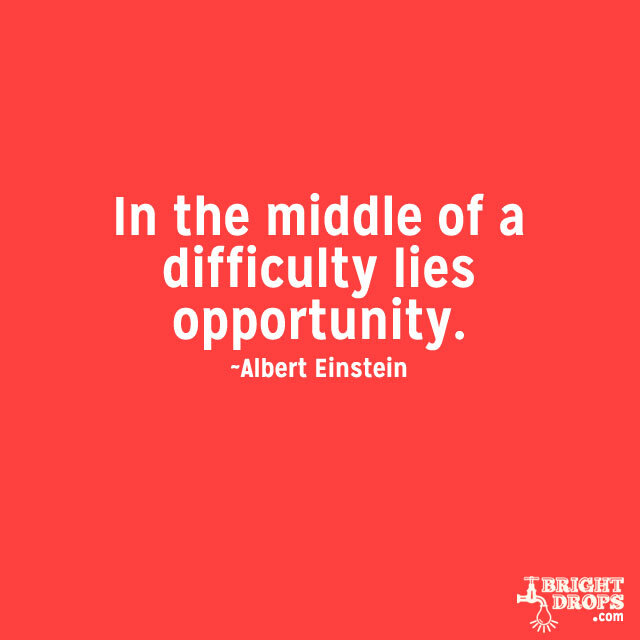 Find that opportunity that’s hidden within whatever difficulty you’re facing, and see how you can make the most out of it. What a difference that will make when instead of setting you back, difficulties only serve to move you forward. Often we lose sight of how important today can be, and if things have gotten tough for you it may be because you didn’t properly use your yesterdays, and now you’re dealing with the consequences. So instead of rueing that you should have done more in the past, use the opportunity you have today to make a better tomorrow. It’s so hard to wrap your head around the idea that your future will be better because of what you’re doing right now, today, and that you’re living the sum of all of your previous todays. But once you do the sky’s the limit. When life gets tough it’s easy to stop dreaming, or to scale back our dreams because it feels like they are unattainable. But you should never sell yourself short just because things are going poorly at any given time. Dreams are bigger than your problems, and they can help you overcome whatever is thrown at you as long as you keep your focus and attention on them. This quote will help you remember that without dreamers in the world the world would be a pretty lousy place. Stand among the other dreamers and be the savior that’s needed. It’s easy to look at the abilities you lack and start to feel bad that you don’t know enough, or can’t do enough. This alone can be the start of a bad day, because once you start thinking like that it’s hard for anything else to go your way that day. But once you shift the focus to your long list of abilities, to all of the things you do know, and all of the things you can do, you start getting inspired rather than discouraged, and more things start to go your way. 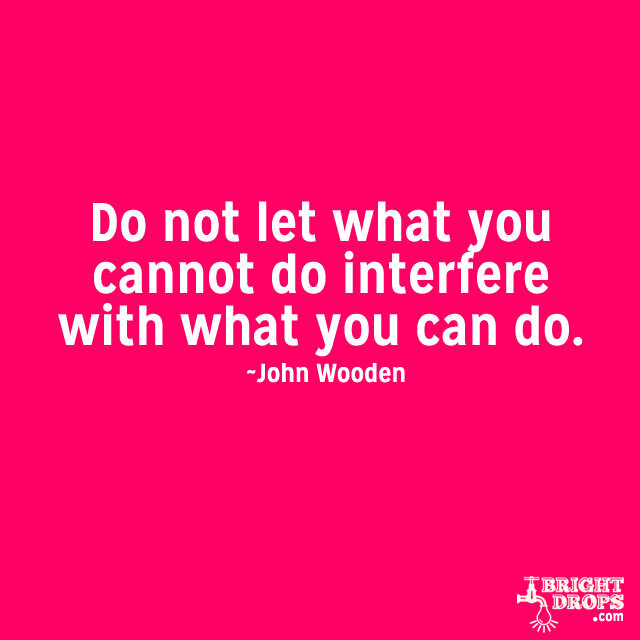 You’ll start playing to your strengths instead of wallowing in your weaknesses. Most would consider Michael Jordan a giant success when it comes to the game of basketball, but he was humble enough to realize that even more than is innate greatness it was the attempts and the many failures that led to that success. He didn’t make 100% of his shots, but he wasn’t afraid to shoot the ball when the game was on the line, or to take plenty of shots knowing that some would go in. If failures have been piling up in your life just remember that it’s part of playing the game, and at least you’re in the game taking shots. Struggle is often lamented as a bad thing, as a sign that you won’t get what you want and things are going to turn out poorly. 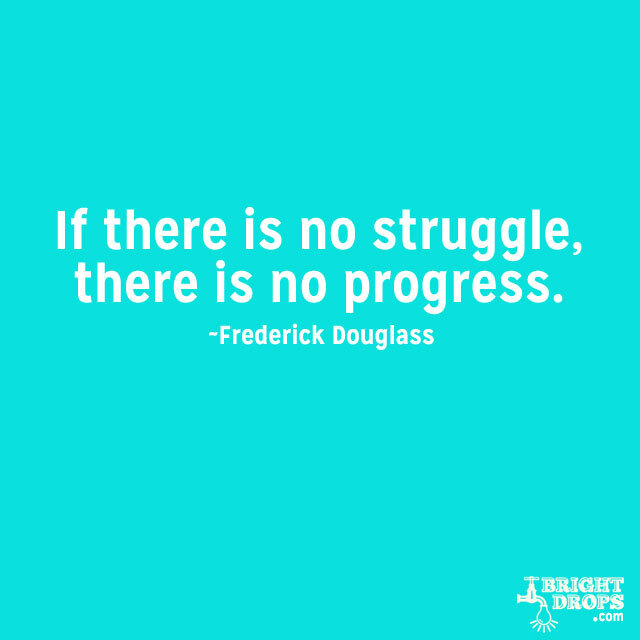 But this quote is a reminder that unless you’re struggling you aren’t making any progress. Think about it: a life without struggle would mean that you are playing it safe, staying with what you know, and limiting your own evolution and growth. Struggle is a sign that you are pushing yourself, testing your limits, and making real progress. Armed with this new perspective you can take on the world. 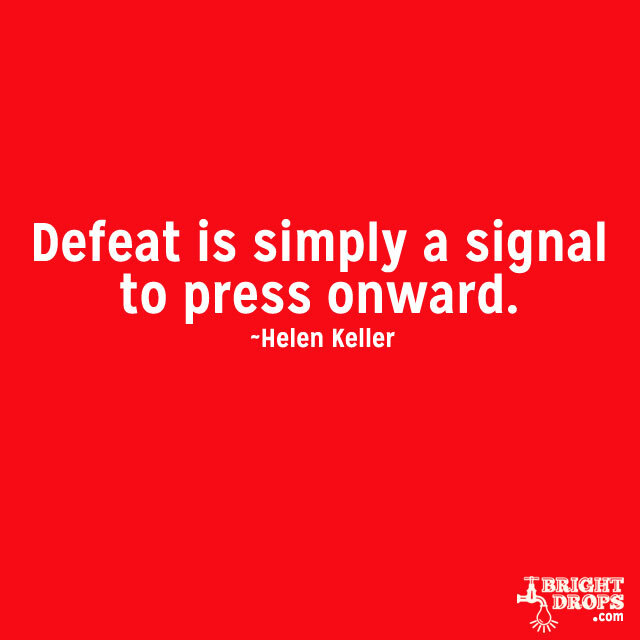 Many people view defeat as a signal to give up and try something else. 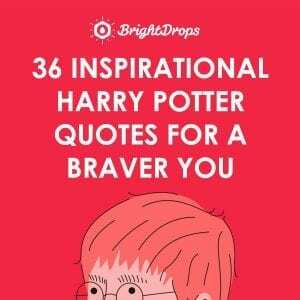 But here’s a way to get inspired to just keep moving forward when you face defeat of any sort. Amazing things start to happen when you press on without any sign that things will get better. Things start to get better simply because you’ve kept pressing on. The universe bends to you because it realizes that you’re not going to take no for an answer. There may be no more uplifting idea than a universe that is conspiring with you to achieve your dreams as long as you keep striving forward. On a stormy day it’s easy to forget that the sun is still shining behind all of those thick clouds. The same is true for problems we face in our lives. 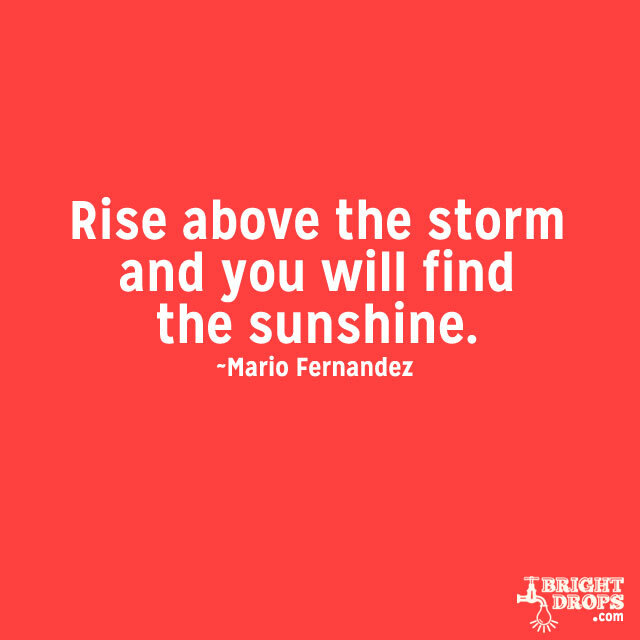 It can look dark and gloomy when we peer out into the future, but we have to remember that just behind those clouds, rain, lightning, and thunder is an abundance of sunshine and clear skies. It’s just a matter of rising above it so that we can feel the sunshine and get inspired to keep soaring to new heights, where rain and storms just can’t reach. Have you been thinking that your best days are behind you? 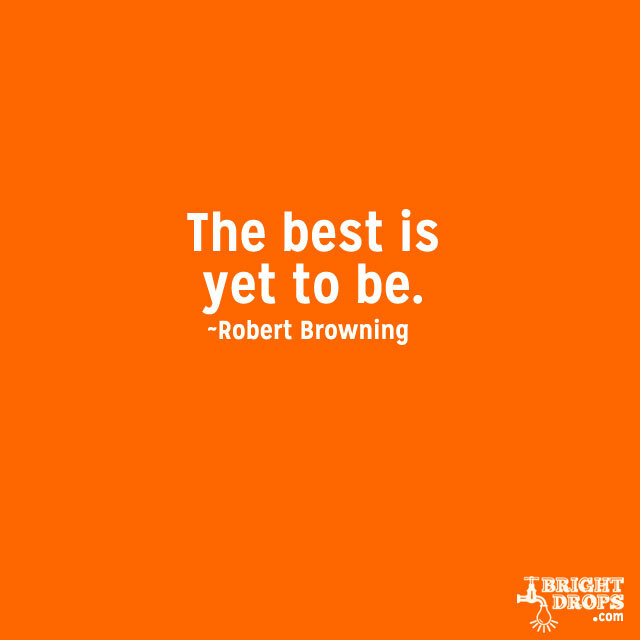 That’s not a good thought to hold onto, so it’s better to go with this quote that turns it around and gets your mind thinking that the best is still to come. 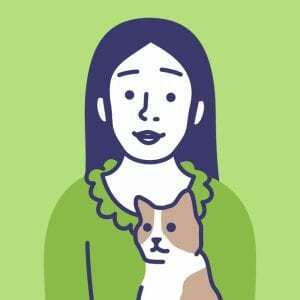 The reason we start to think that maybe we’ve already lived our best days is because life has been a bit rough lately, and we’re projecting that roughness into the future. But what if it were possible to fully believe that things are going to get better, and that your future holds days that are better than anything you’ve yet lived? That would be pretty powerful. It’s human nature to put limitations on ourselves, and it doesn’t help if you were raised in a family with limited beliefs or had teachers that stifled your growth. But now you have the ability to correct any wrong thinking by releasing yourself from self-imposed limitations and really stretching your legs to see how tall you can stand. Life may be going tough right now, but is it because you have been living to certain limitations, or that you feel you can’t surmount an obstacle in front of you? 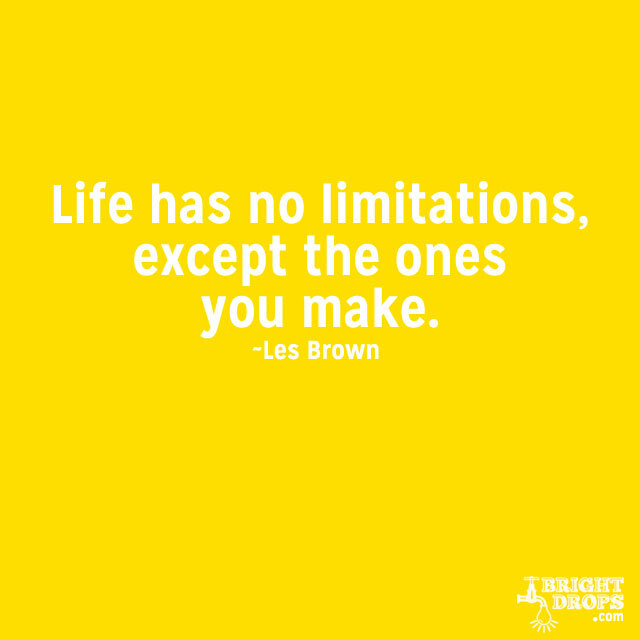 Time to break free of these limits and change your life for the better. The power of belief can’t be understated, and this quote is an excellent way to sum up just what a difference it can make. The problem with tough times is that they take a big blow to our belief levels. Once your belief takes a hit it’s hard for anything you try to go right. Start by getting your belief level back up, that should be your first step in getting recharged and ready to go again. Believe that you can’t and you’ll never make it, so start with step one so that you can take a sort of shortcut to where you want to go. 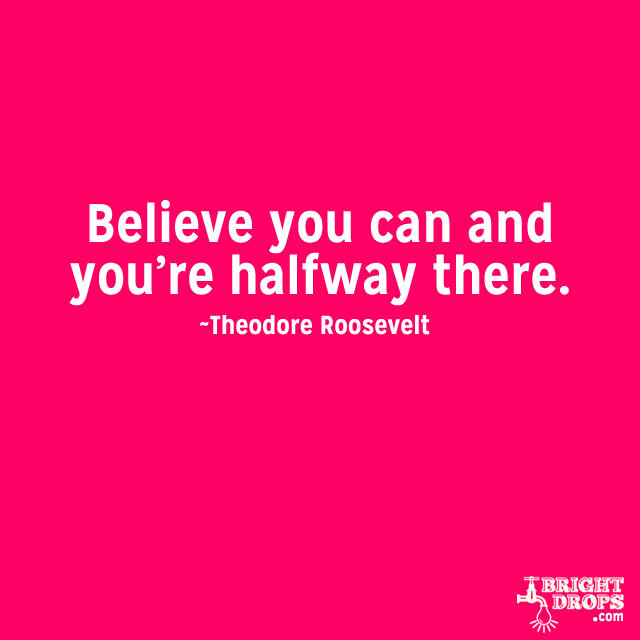 Believe you can! Is life tough right now? Can you be open-minded enough to consider that it could be more how you’re reacting to life than what exactly life is throwing at you. 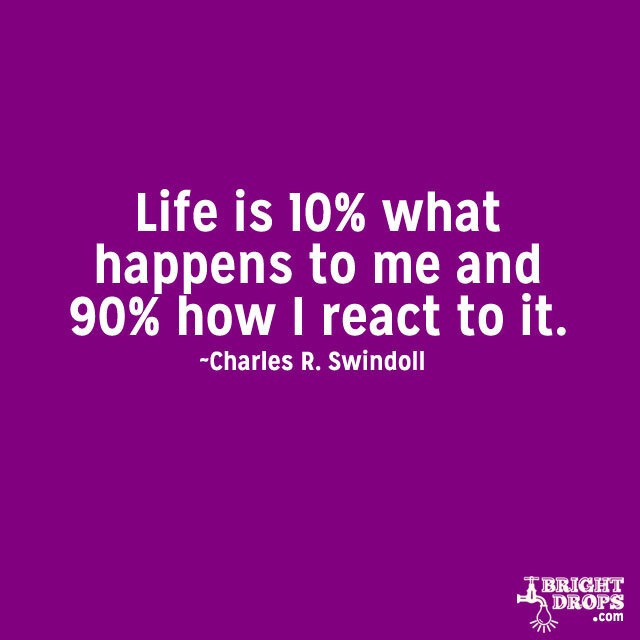 Control that reaction and you can play a big part in how life is going. This quote is a pretty popular one, and says that it’s largely up to how you’re reacting to the events that happen in your life. Couple that with other quotes that say you bend and shape your future, and what is really happening is how you’re reacting to the things you’re creating. If failure has been leaving a bad taste in your mouth, it’s time to turn the tables on how you perceive its flavor. 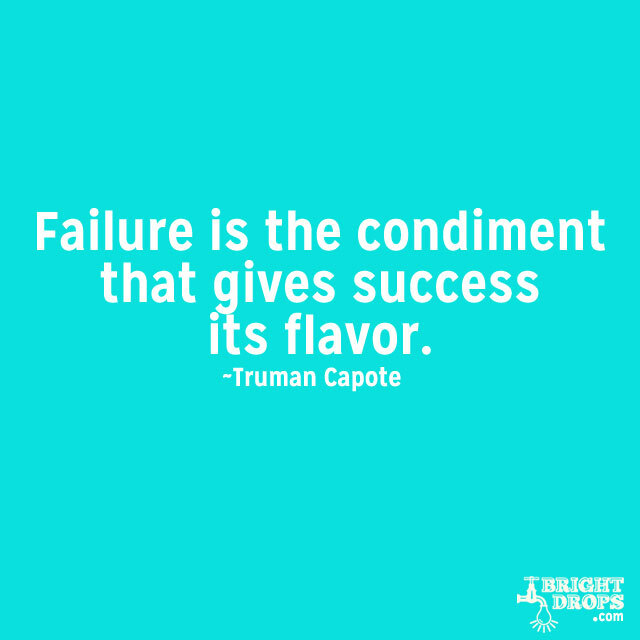 Here he’s saying that failure is the reason why success tastes so good. 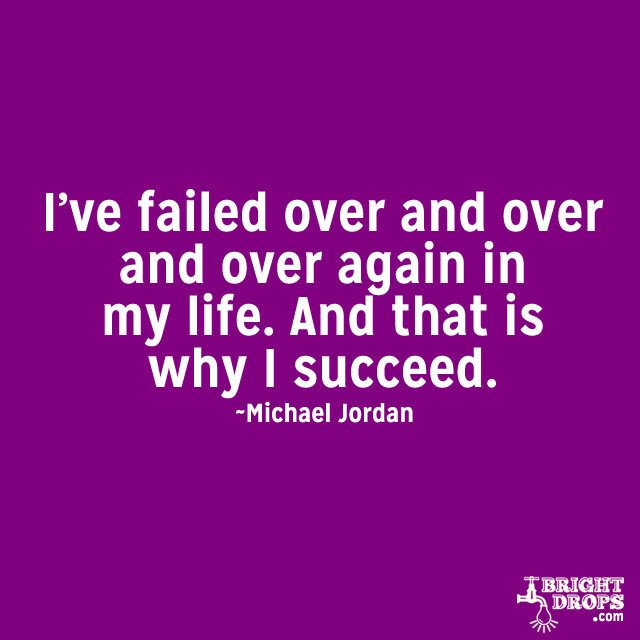 Success wouldn’t be as gratifying as it is if you didn’t have to overcome some failures on the way there. But you get to savor the flavor of success because you did try, you did fail, you didn’t give up, and you made it to your destination. A handy piece to keep in mind when life isn’t exactly going as you’d planned. If the world around you seems like it is just the way it is because of the way the world works, this quote shows that it’s not quite as fixed as it looks. You get to bend it and shape it so that it’s looks the way you want it to, but in order to do that you have to deliberately set out to. 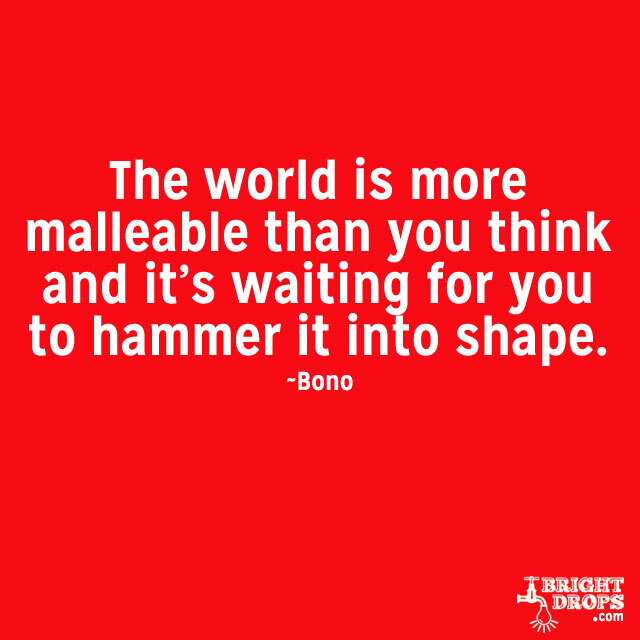 Rather than let life throw you around, get in the driver’s seat, and as Bono is saying, swing that hammer. The world won’t hammer itself into the shape you want, you have to be the one that provides the inspired action. 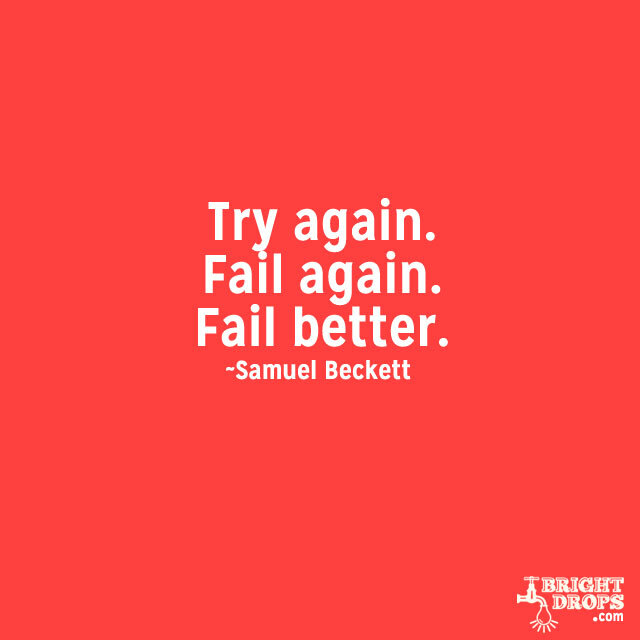 Did you know it was possible to fail better? This is a unique quote that shows there are multiple levels of failing. There isn’t just one type of failing, and if you try knowing that you’re probably going to fail, that you expect to fail as a way to get better, the whole game changes. You aren’t afraid of failure, and it isn’t stumbling block. You start measuring your failures to see if you’re failing smarter, better, more efficiently. If you’re failing in the right direction. 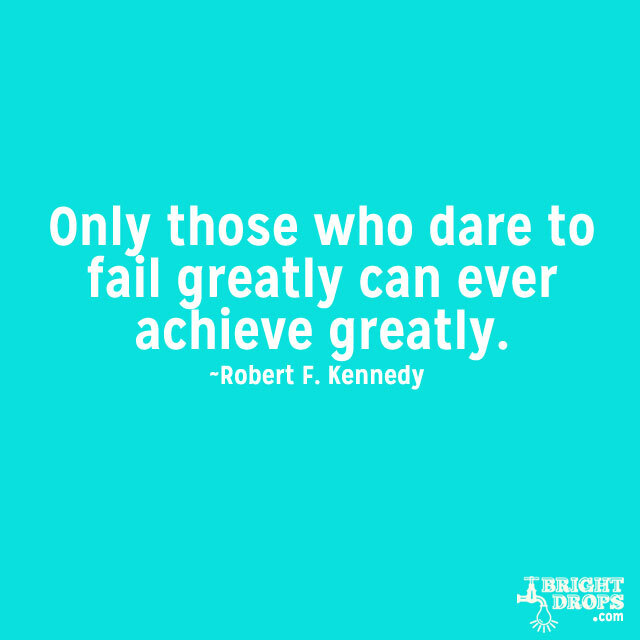 Eventually these failures lead to success, as they have for so many great thinkers and achievers in human history. Would you want to play a game against a total novice when you yourself are a professional? No! It would be so boring that you would quickly tire of the game. That’s how it is with life, so adversity should not make you want to stop playing. 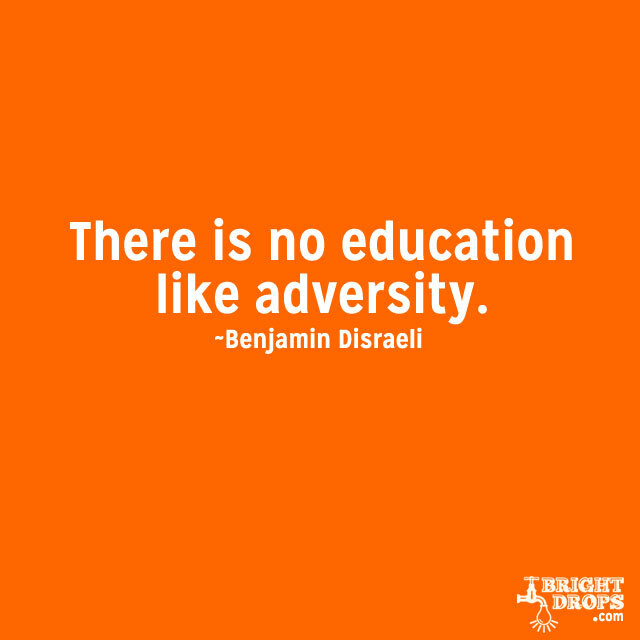 Adversity is like playing the game with someone that’s just a little better than you are. 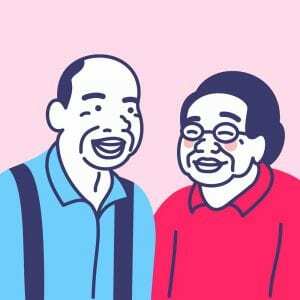 You can learn from them, hone your skills, and improve your game. It makes playing the game fun and makes you better for it. So if life is throwing you a curveball, learn how to hit curveballs. 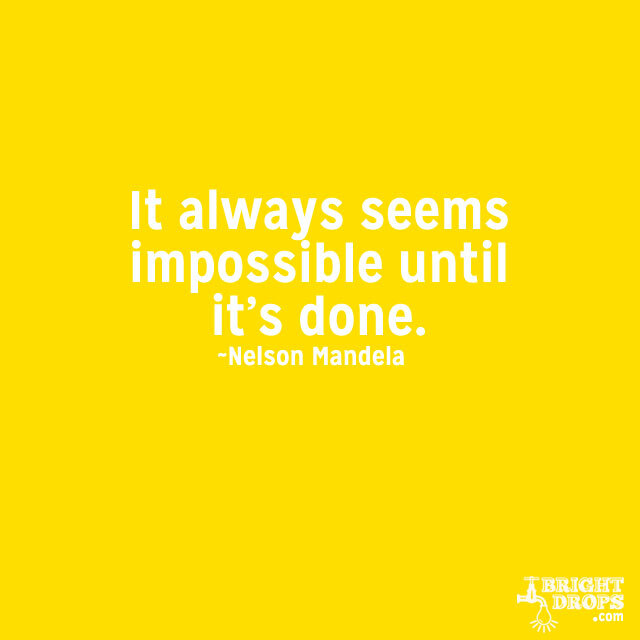 Nelson Mandela shows that when you’re trying to do something amazing it’s going to appear like an impossible task right up until the time it’s completed. That’s how you know you’re working on something worthwhile. It wouldn’t be much fun to do work that you know is possible and easy to complete and just do it again and again. So when life gets tough, and it feels like it’s not going to get any better, just remember that it always seems impossible until you’ve reached your goal. 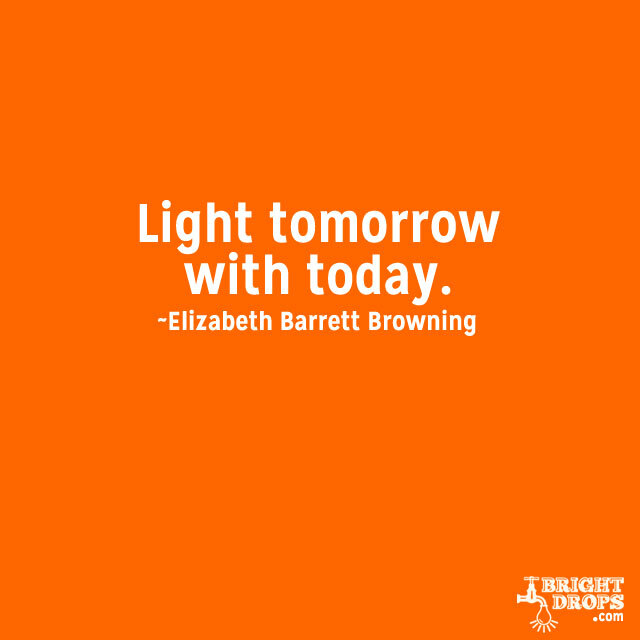 That should help lift you out of any funk and put you on the path towards brighter days. So what if everything blew up in your face, at least you were trying something new to see what would happen. Those that stick to what they know and don’t try new things or attempt new goals are living a very limited experience. If things are getting tough it’s likely because you’re venturing into new areas and getting out of your comfort zone. This is a good place to be and will help you get the most out of life. 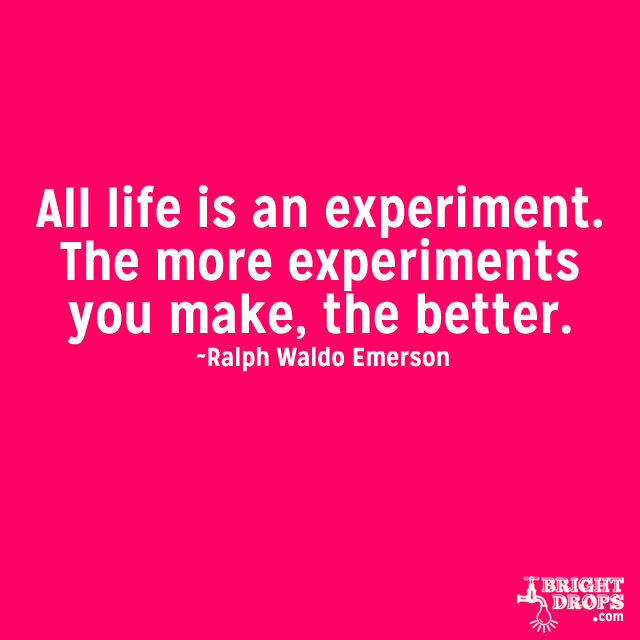 Keep making those experiments. Things might not always be easy going, and you it might sometimes look like a disaster, but on one attempt you’ll get it right. Tinker, tinker.